Build your dream home on this 1.5-acre, lot w/natural beauty & privacy provided by mature trees on the only country wooded road left in Dunwoody/N. Sandy Springs, set on a stream that leads to the river. Winding along a ridge, this lovely, narrow paved road is lined with elegant homes on very large lots & ends in a cul-de-sac. When you turn onto Clay Drive you will immediately feel like you have left your busy day behind, & entered an oasis of majestic trees & luxury homes. This is the only homesite on the street w/city sewer. 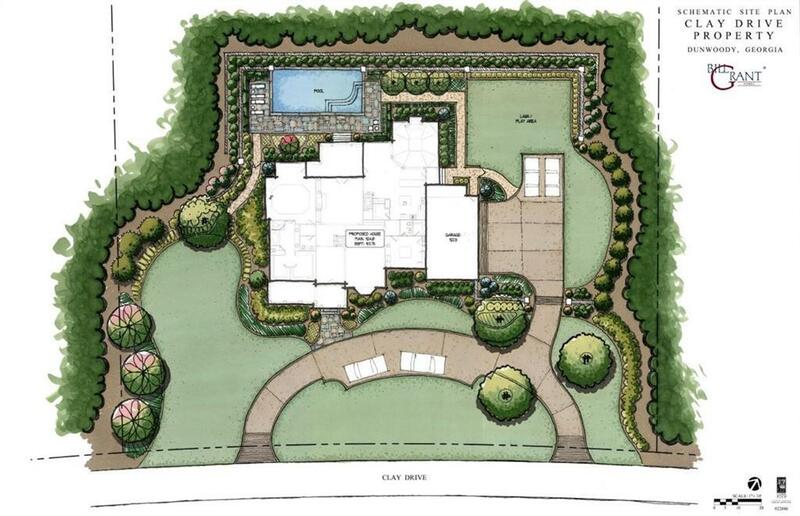 To be built by Bill Grant Homes, LLC. Directions: From Chamblee Dunwoody Road, Go East On Spalding Drive To Left On Clay Drive. Lot Is About 1/2 Way Down The Street, On The Left.